Rehabilitation of this dam consisted of fixing a leak in the East Dam by removing a portion of the East Dam dike and replacing the clay — during which a new 8-inch outlet was installed with outlet and discharge structures. 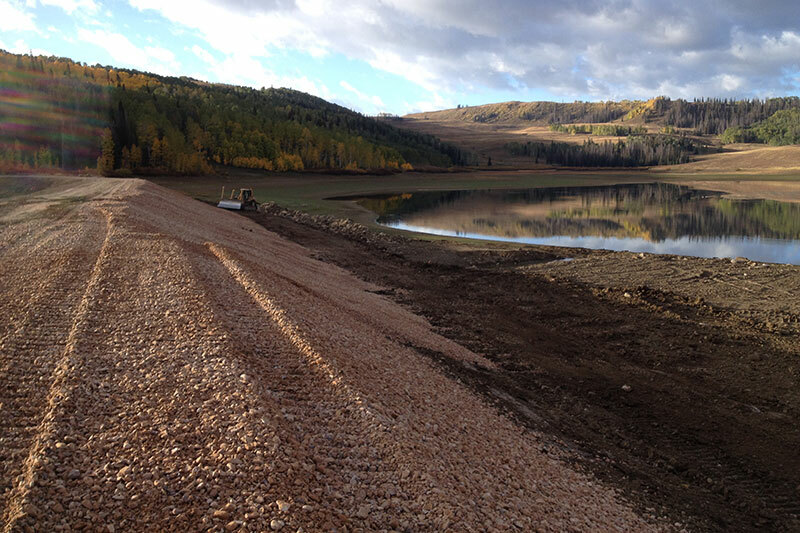 Both East and West Dams were stripped of vegetation on the downstream side of the dam and a toe drain collection system was installed. 19,000 cubic yards of clay embankment were added to the dams and 4,900 cubic yards of riprap were added to the upstream side of the dams. New outlet and discharge structures were constructed at the existing 18-inch discharge pipe on the West Dam. The existing spillway was demolished and rebuilt.